As if cruise lines do not have enough to worry about with poor economies, high fuel costs and advancing emission control areas, in the past month concerns have started to come to light at the local level in three important cruise ports – first in Victoria, BC, then in Charleston, SC and now in Europe, in Venice. We also take a look at trends in European cruise market growth in 2010. And, eight months after Cruise West went down in September 2010, Polar Star succumbs after their ship’s January grounding in Antarctica. Just as in the case of ships breaking down, viz MSC Opera last week, when minority voices begin to criticise the cruise industry it seems they often have little difficulty in getting press coverage. Controversial stories seem to interest the public more than a standard cruise line press release or even a new ship. 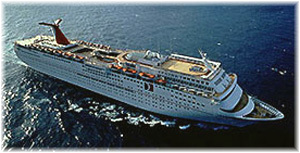 But there is an argument that as cruise ships have got larger, the threat of crowds, traffic and pollution has encouraged some locals to protest at cruise ports of call, despite that fact that cruise ships are good for their local economy and ports do all they can to control noise (such as cruise ship public announcements in residential areas) and traffic. Let’s look at some complaints that have sprung from Victoria, Charleston and Venice just in the past month. Twenty-two cruise ships are scheduled to make 210 calls at Victoria this year, but with the arrival of the season’s first, the Crystal Symphony, at Victoria’s Ogden Point cruise terminal on April 16, cab drivers began to boycott the port. The reason for this was a $200 levy on each driver that wanted the right to pick up passengers from the cruise terminal for the season of 2011. Many d Alaska cruise ships use the Vancouver Island city as the foreign port of call that allows them to accept passengers on round trip cruises from Seattle, and most of those ships carry in excess of 2,000 passengers. Although there are also shuttle buses, limousines and horse drawn carriages, the taxi drivers’ boycott at Ogden Point left some passengers from the Crystal Symphony waiting for up to an hour to get into Victoria. By the time she arrived, only ten drivers had paid the $200 fee that gave them the special decal to allow them to pick up from the cruise terminal. The rest of Victoria’s taxi drivers claimed that this was too much money, hoping to have the levy cut in half. However, the Greater Victoria Harbour Authority (GVHA) held out and by May 2, twenty-five decals had been purchased in time for the Disney Wonder so there were enough taxis on hand for her. By last Thursday the total number of taxi decals sold had risen to sixty and the situation had eased markedly. More important, however, is a protest by residents living near the Ogden Point cruise terminal that almost make cruise passengers look unwelcome. Noise and traffic caused by cruise ships has for some time been a complaint of the nearby James Bay area and, whether realistic or not, the attention attracted by these claims means that they have to be responded to. As it happens, as of June 6 the GVHA will have a new chief executive in Curtis Grad, a former airport manager, to look into these problems. Lines calling on Victoria include Carnival, Celebrity, Crystal, Disney, Holland America, NCL, Princess, Regent and Royal Caribbean. Many call there after an outside run down the west coast of Vancouver Island, on which Victoria is located. Meanwhile, on the Atlantic side of North America, a debate is raging in the Port of Charleston over plans for a new $25 million cruise terminal, the need for which has largely been brought about by Carnival Cruise Lines basing the 2,056-berth Carnival Fantasy in Charleston year-round from May 2010. The vast majority of Charleston’s cruise traffic is generated by 5-, 6- and 7-day Bahamas and Caribbean cruises by the Carnival Fantasy, but calls are also received from passing ships from Holland America, Crystal, NCL, Oceania, Regent and Seabourn. As in Victoria, a residents’ body from an affected local area, the Historic Ansonborough Neighbourhood Association (HANA), is protesting over cruise ship crowds and trying to protect and preserve the local historical environment. In this case, they are protesting to the South Carolina State Ports Authority over location of the new cruise terminal in the downtown area on the city’s historic riverfront. One of the things the residents are seeking is tough standards on air emissions and discharges, a subject that has been brought to the forefront first by the International Maritime Organization, with its emission control areas (ECAs), but more importantly by the scare tactics of the Environmental Protection Agency (EPA). But in a report by the EPA last year, they claimed that the implementation of the new North American ECA would prevent 14,000 premature deaths a year. Just how the EPA came to such a conclusion was not stated, nor was it revealed what equivalent numbers of premature deaths might be caused by the US trucking or aviation industry. But it sure makes for a dramatic claim. It should be noted that even though the ECA governs all ships and not just cruise ships the claim still seems to be unsubstantiated. The location of the new Charleston cruise terminal would be on the existing Union Pier, which although a largely barren industrial site is close to town. One of the objections is a nine-acre parking area that would be adjacent to the mooted terminal but another is the large crowds and traffic that cruise ships bring. Last year, HANA approved a resolution calling on the city to regulate cruises as they do other tourist businesses, and to cap the number and size of ships docking in the harbour. In January, they were joined by the Charlestowne Neighborhood Association, which made a similar resolution but also suggested that the cruise pier be relocated upstream to another terminal. Again, cruise passengers look unwelcome. Overall, however, the situation is confused. The many parties to it include not only a fiery incumbent mayor who is running for re-election, the state-run ports authority and neighbourhood associations, but also the South Carolina Coastal Conservation League, promoting a plan for a mixed-use residential and office space development on the same site, the Preservation Society of Charleston, which has nominated the city as one of the National Trust for Historic Preservation’s “most endangered places” because of cruise ship traffic, and the National Trust for Historic Preservation itself, which is suggesting that the city is unwilling to set “standards” for cruise ships, as well as the Historic Charleston Foundation, which held a community forum last week. With so many parties involved, it is difficult to see what the eventual outcome might be. Charleston expects about 80 cruise ship calls in 2011, which will bring about 200,000 passengers to the city, a very small number when one considers that the port city sees about 4.5 million tourists every year. This number should not cause anyone any real problems, especially as the State Ports Authority already has a self-imposed limit of only 104 ships a year (two calls a week), and especially in a city that has been an important port for 340 years. So we shall have to wait and see if the new Union Pier cruise terminal goes ahead or whether the terminal eventually goes elsewhere. But beyond shaking windows, which are probably caused more by the noisy local vaporettos than by cruise ships, Venetians are beginning to question the impact of large cruise ships on their fragile city in terms of air, water and noise pollution, the impact on the lagoon and potential erosion of Venice’s famous buildings and underwater foundations. Part of this reaction seems to stem from not only the larger size of today’s cruise ships, but also a huge growth in traffic in recent years. In 1999, fewer than 100,000 people visited Venice while on a cruise, but in 2010 sixteen times as many did and Venice and Barcelona now vie for first place in the Mediterranean cruising homeport league. Last year saw 1,427 vessel calls at Venice, with 1,611,784 cruise passengers, 355,969 ferry passengers and 100,351 hydrofoil passengers, for a grand total of 2,068,104 passengers passing through the lagoon terminal. 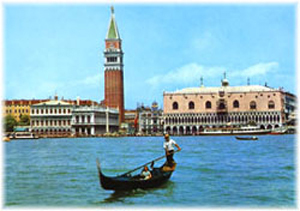 Although port officials have repeatedly assured citizens that the area around the cruise terminal is constantly monitored for air quality and ship emissions, as well as noise pollution and other possible effects of cruise ships on the lagoon and its historic buildings, and even though tourism is Venice’s prime business, some critics still perceive that there is a problem. And at the end of April, several groups wrote to the Venice Port Authority and other Venetian and national officials asking for the ships to be banned in St. Mark’s Basin. Some of this traffic will move in two years. Work is now under way on a new ferry terminal at Fusina, next to the Porto Marghera industrial area. When it opens in 2013, passenger ferries and the thousands of cars they carry will move to another route through the lagoon that is now used mostly by cargo ships. To date, as indicated in these three cases, such protests are isolated and are usually raised by minority interests. But the cruise industry needs to ensure that such issues are handled so that they do not affect the growth and viability of the cruise industry as a whole. It is not impossible that, in certain circumstances, limits may have to be drawn voluntarily at some point. This can already be seen in the Americas in that new ports are beginning to come to the fore as the industry continues to grow. Falmouth, Jamaica, although delayed, is typical of this move, and indicative that ports such as St Thomas, St Maarten, Antigua and Cozumel were becoming crowded with too much traffic. So too, as the number of European cruisers expands, will cruise lines have to be aware of their impact on local situations and environments. And although cruise lines are probably more conscious of their impact on people than most industries, it is a pity that these protestors do not seem to think that that is the case. Two weeks ago (“Could Europe Become the World’s Largest Cruise Market?”) we asked if the European market could in time exceed the size of the North American market. In view of the fact that, on average, Europeans take longer cruises, that could indeed happen in passenger cruise days before it does in the actual number of passengers. In one of his early columns, on July 18, 2008, Mark Tré wrote about the growth in European cruising markets. The growth in European cruisers in 2007, at 595,000, had meant a record 17.5% increase, with the biggest number, 131,000, having come from the UK, with a rise of 11% in the number of cruisers between 2006 and 2007. Then, the UK accounted for almost a quarter of the overall growth. Now, however, with a weaker economy, European Cruise Council statistics for 2010 indicate 89,000 new UK cruisers in 2010, meaning the UK’s share of new cruisers has fallen to 17.5% out of a slightly lower year-on-year market increase of 506,000 new passengers in 2010. Not surprisingly, with the growth of Aida and arrival of TUI Cruises, the Germans came first last year, with 192,000 new cruisers, compared to 58,000 in 2007. At 18.7%, Germany showed the highest growth in both numbers and percentage of any European market (Switzerland, Austria and the Benelux followed in percentage terms, with 2010 growth rates of 17%, 16% and 15% respectively). However, Spain, where unemployment is now above 20%, generated only 58,000 new cruisers (a 9.9% increase) last year compared to 127,000 in 2007. And 90,000 new cruisers (12.5%) came from Italy in 2010, compared to 123,000 in 2007. 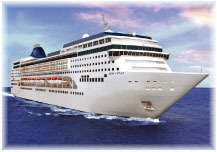 France, however, outperformed its 2007 growth, with 40,000 new cruisers in 2010 (11.5%) compared to 38,000 in 2007. The total number of European cruisers reached 5.45 million last year, with the three largest markets being the UK at 1.62 million, Germany at 1.22 million and Italy at 889,000. Compared to 2007, when the grand total was 4.0 million, this is an overall growth of 36% in three years. 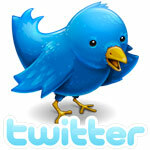 The statistics that follow are courtesy of the European Cruise Council. While 1.62 million are known to have cruised in 2010.the forecast for this year is 1.75 million, an indicated growth of about 8%. The Passenger Shipping Association predicts that the UK market will reach 2.0 million by 2014. Growth in the UK has come not only from new ships introduced by British lines – P&O, Cunard and Fred Olsen and Thomson – but also from North American Lines – Royal Caribbean, Celebrity and Princess – basing ships in the UK. Despite feeble economic growth, the UK cruise market, which first surpassed the million mark in 2004, still held up in 2009-10, even though the UK foreign holiday market dropped. By comparison, the German market is predicted to reach about 1.25 million this year and 1.38 in 2012. Long-term growth forecasts predict that the German market will surpass the 2.0 million mark in 2018, reaching 2.3 million by 2020, by which time it could be larger than the UK market, given Germany’s larger population and stronger economy. About 60% of the German market likes to travel on German ships. 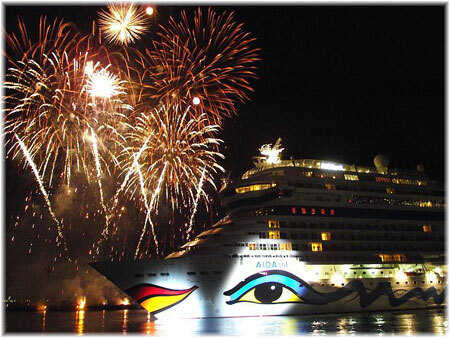 Aida and TUI are the largest German-based lines, although some of their cruises operate from other European countries, while Hapag-Lloyd Cruises is the more upmarket international operator. Italy, with all its ports – Savona, Genoa, Livorno, Civitavecchia (Rome), Naples, Venice and others – forms a geographical market similar to the UK in that most Italians are within a short drive of the sea, and while served mainly by Carnival’s Costa Cruises and independent MSC Cruises, also has its share of North American-based lines – Royal Caribbean, Celebrity, Holland America, Princess – with sailings out of Italian ports. Remembering that the number of Italian cruisers was only 346,000 in 2003, the market is now two and a half times the size it was just seven years ago. Italy will in all likelihood be the next European cruise market to surpass the million mark. With its Royal Caribbean-controlled Pullmantur Cruises, with about 40% of the market, and Carnival-owned Iberocruceros, with about 20%, plus the more recent independent line Happy Cruises, in terms of market size Spain is now where Italy was three years ago. Not reflected in these statistics, one of the biggest influences in the Spanish market has been Pullmantur’s All-Inclusive pricing, with not only wines with lunch and dinner but also pool and bar drinks included in the basic fare. Such was the temptation for cruisers that last month Iberocruceros, which had been offering an all-inclusive add-on for €112 for 7 days, announced that in future this €112 would be included in their fares as well, although it would be deductible if guests did not want to avail themselves of the drinks package. France has only about 5,000 travel agencies compared to 12,000 in Germany, perhaps a reflection on the fact that the French prefer to holiday at home. And while French cruisers numbered only 280,000 in 2007, the market has recently started to grow – 38% in three years. This year will see Costa-controlled Croisières Paquet stepping up from the 820-berth Costa Allegra to the 1,196-berth Grand Mistral. 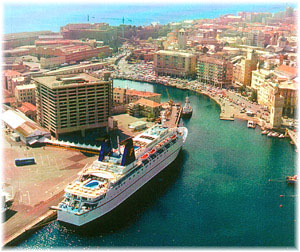 And anew line, TAAJ cruises, will use both the Costa Allegra and 772-berth Costa Marina on seasonal cruises from Calais. Royal Caribbean-owned Croisières de France, meanwhile, is now successful enough to be doubling the size of its ship next year, with the 1,506-berth Horizon replacing the 752-berth Bleu de France. The only French-flag line operating year-round, however, is Compagnie du Ponant, now with five smaller ships, including the recently-completed 224-berth L’Austral and Le Boréal. Last Tuesday, Polar Star Expeditions’ parent company Karlsen Shipping Co Ltd announced in Halifax that it has ceased trading. At the request of the Toronto Dominion Bank, which is owed about $4.6 million, PricewaterhouseCoopers have now been appointed as receivers to the assets of Karlsen Shipping. A further $750,000 is said to be owed to Norway’s Sparebank. 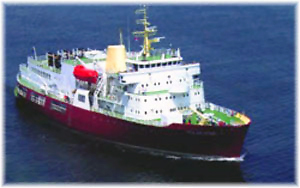 The company’s chief asset is the 100-berth icebreaker Polar Star, which it purchased from the Swedish Government in 2000 and has been operating as an expedition cruise ship since 2001. Polar Star has not had an easy time of it of late. Last year, the vessel having lost one of its engines, had to operate part of the season on just one. Then, on January 31 this year she hit an uncharted rock at Detaille Island in the Antarctic and breached her outer hull. Three ships that were in the vicinity evacuated her passengers and part of her crew but she lost the rest of her 2010/11 Antarctic season and had to go to Las Palmas for repairs. Now, Spanish authorities have seized the ship against a $1.4 million bill for the repairs in Las Palmas, where she remains. And the ship’s twenty-seven crew, under the leadership of Cap Jacek Lisiecki, have set up a web site to try to raise funds to repatriate them. They are said to be owed $250,000 in back wages, as they have not been paid for three months. Meanwhile, operators such as Oceanwide and Quark have been making offers to book passengers who had previously been reserved on the Polar Star to cruise in Spitsbergen this summer. It is now unclear as to whether any charter can still be made, even by the receivers, with Spitsbergen Travel, who normally charter her during the summer months.